Jonathan The Husky | Spirit ~ Pride ~ Tradition! Spirit ~ Pride ~ Tradition! 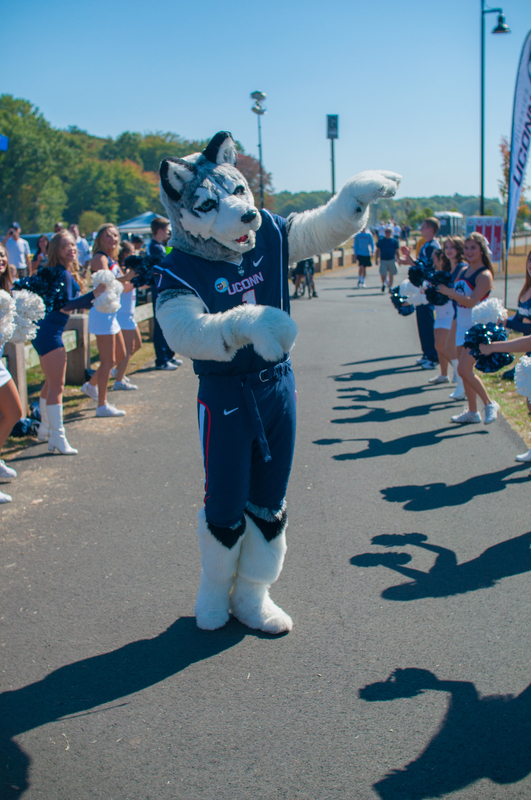 The University of Connecticut Mascot has been a tradition for decades. From attending campus and community events, to bringing smiles to thousands of husky fans at sporting events and making appearances all across the country, Jonathan is one of the most recognized and photographed symbols of the Pride and Spirit of UConn! Want Jonathan The Husky at your next event? Please fill out the Request An Appearance Form and a staff member will contact you. Completing this form does not guarantee that Jonathan will be able to attend your event. There may also be an appearance fee. Looking to have Jonathan XIV at your event? Contact Alpha Phi Omega at jonathantheuconnhusky@gmail.com for more information.